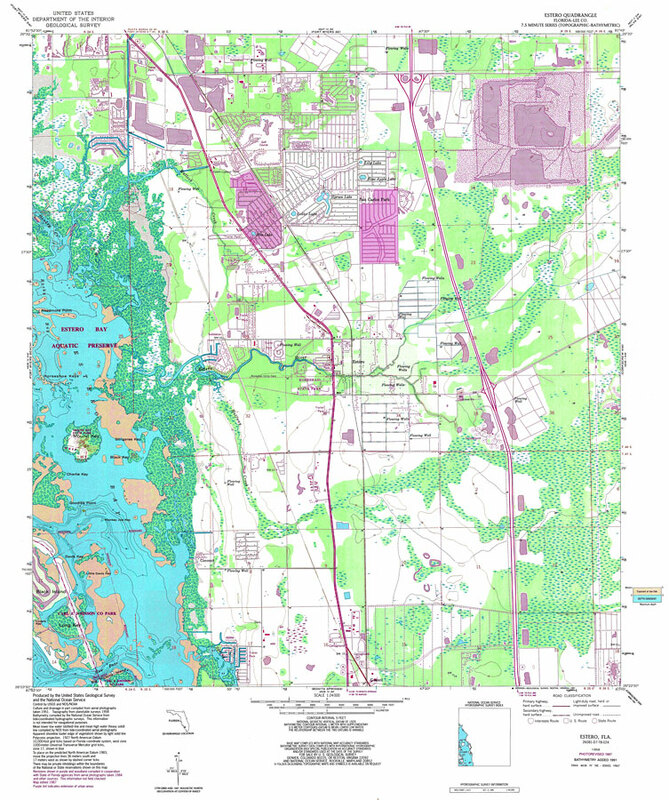 Description: A US Coast and Geodetic Survey and National Ocean Service map of the Estero area, current to 1987. This topographic-bathymetric map shows elevations and depths in meters. Contour interval 5 meters. Bathymetric contour interval 1 meters. Map also includes roads, waterways, airports, housing developments, national parks and refuges, swamps, and forests. Map divided into townships and ranges. North American 1927 Datum used. The map scale is 1:24,000. NOAA Map Reference: 26081-D7-TB-00-024 Key to NOAA maps. PLEASE NOTE: This historical data is not to be used for navigation or navigation planning. The Florida Center for Instructional Technology (FCIT) does not assume responsibility for the improper use of these data.